MerlotThis wine is dedicated to the founder of the business: Grandfather Gervasio Pagni who started it in 1913. It is obtained with Merlot grapes ( 100%). Grandfather Gervasio was a frank and jovial person who truly loved music, art and especially good wine. 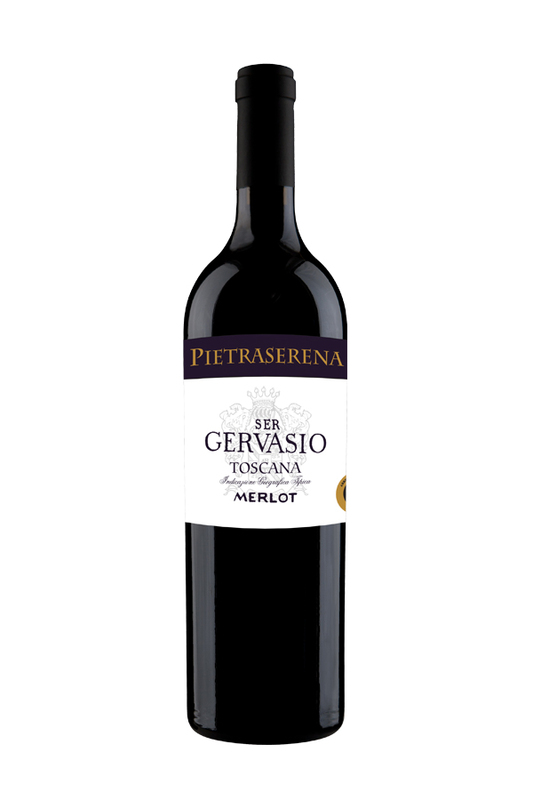 We have lovingly honoured and cherished the memory of the head of our family with this wine, by choosing a sun-drenched portion of our land in our Pietraserena to produce the grapes. Its colour is an intense red with purple hues. It is distinctly aromatic. Colour & Bouquet: Purple-red , intense scent, fragrant , fruity , structurally well balanced, rich in faboulos tannins. ALC/Vol: Alcol 14 % vol.